Not in a position to purchase a hearing aid? At Pristine Hearing, we understand that there are many financial pressures families and individuals go through just to survive. Cost of living is a constant issue that can be made worse for people with a hearing loss especially when it comes to employment. We know that the employment rate for hearing impaired individuals aged between 45 and 65 is lower than for the same group in the general population - 20.5% lower for men and 16.5% lower for women. We also know that nearly half of Australians who have a hearing loss are of working age (16-64). Unfortunately, public funding for hearing impaired working Australians from 26-65 is quite limited and as such, Pristine Hearing through our Hearing Aid Bank initiative aims to, in a small way at least, assist this segment of the community. Unfortunately this service is not available for everyone and is only for those in most need. ​As such, our criteria to be accepted is as follows. You are an Australian citizen or a permanent resident 26 yo+. You do not have any private health insurance. 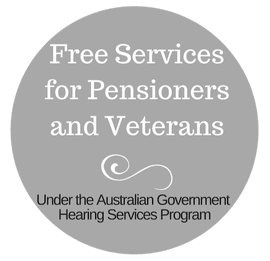 You are not eligible for subsidised hearing services under workers compensation, Office of Hearing Services, Department of Veterans' Affairs or the National Disability Insurance Scheme. You are in paid work for at least 20 hours a week or have prospects of entering the workforce in the immediate future after hearing aid/s are fitted. To submit an application, please call or email us for an application form. The form outlines the supporting documentation required to progress your application. ​Acceptance onto this program is subject to appropriate devices being available. 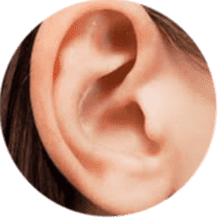 What Hearing Aid Bank Services Are Offered? 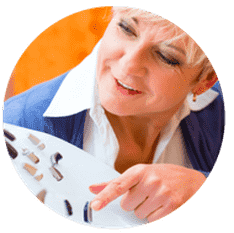 Acceptance onto this program entitles you to a fully reconditioned hearing aid/s that is/are expertly setup to your individual hearing loss and needs. 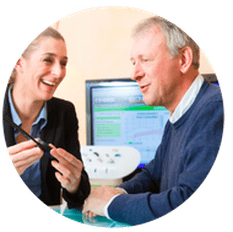 You will receive one assessment appointment, fitting appointment and follow-up appointment along with the hearing aid/s with no out of pocket expense. For any additional appointments, accessories or consumables, a cost will be incurred. Hearing aids from our Hearing Aid Bank usually do not come with a warranty unless they are still within the standard manufacturer warranty period. Acceptance into this program does not entitle you to free hearing aids indefinitely. Each case will be looked at on its merits irrespective if you have received hearing aids from the program in the past. We aim to be as equitable and fair as possible. Old or Unused Hearing Aids? Kindly DONATE or TRADE in your old hearing aids to our HEARING AID BANK so they can be used by patients who cannot afford hearing aids themselves. 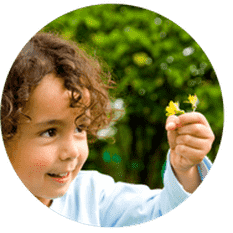 Pristine Hearing will only accept hearing aids that are at most 3 years old and are either behind-the-ear or receiver-in-the-ear hearing aids. We cannot accept hearing aids that fit entirely within the ear as these are custom made to the original users' ears. 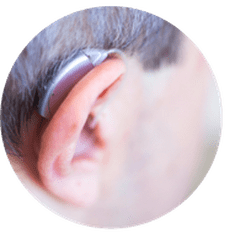 If you are not sure whether to give the hearing aids you have, feel free to call us to discuss or drop into our Nollamara Clinic. To make it easier to give, Pristine Hearing is happy to provide at most $500 (per aid) towards your hearing aids if they meet the above criteria and you are using them as a trade in for new hearing aids. If you would like more information or would like to donate or trade in a pre-used hearing aid, either call (08)6336 7170 or fill out the form.